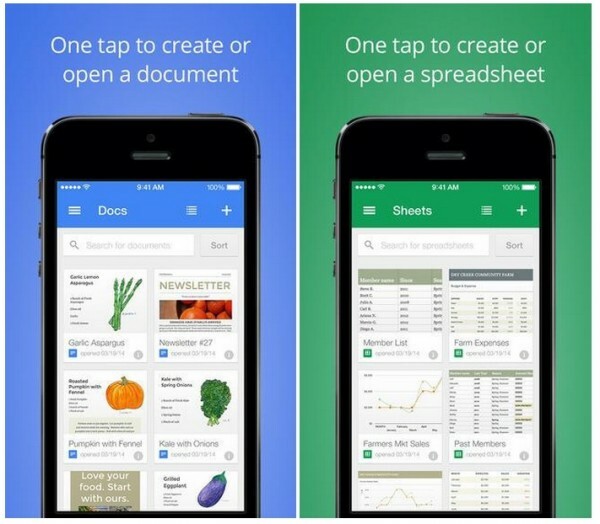 It looks like Google is trying to make its online productivity suite a lot more useful, the company recently announced three new apps for Android and iOS – Google Docs, Sheets and Slides. It’s not 100% new per say, these three tools have been available in Google Drive app, but internet search giant wants to separate them into standalone apps and force you to switch. Google Docs and Sheets are available in the Play Store and App Store right now, for free and Slide will be launched at a later date. As with the Google Drive apps, you can create, edit and delete documents and spreadsheets within the standalone apps; you can also save files to your device for offline access. So why use standalone apps when you can get things done in one single app? Because soon, you will have no choice but to download these apps in order to get full access to your files. The latest Google Drive update for iOS users removes the editing feature and forces you to install Google Docs or Google Sheets instead. At the time of writing, Google Drive on Android still allows you to edit your documents and spreadsheet, but I’m pretty sure they will be rolling out an update to remove that soon. Create, edit & collaborate with others on spreadsheets from your iPod, iphone or iPad with the free Google Sheets app. The apps are available for download immediately – iOS (Docs, Sheets) and Android (Doc, Sheets).